While walking through a departmental store, you may have spotted a rack of seed butters. But have you ever wondered what are they and why are they such big a deal? Butters made from seeds such as flax, sunflower or pumpkin are called seed butters. They have a thick consistency and are rich in fibre, which makes them good for digestion. They are also filled with minerals such as magnesium and niacin, making them a source of good fat and antioxidants. Many of them are a great source of protein as well and help in improving metabolism. 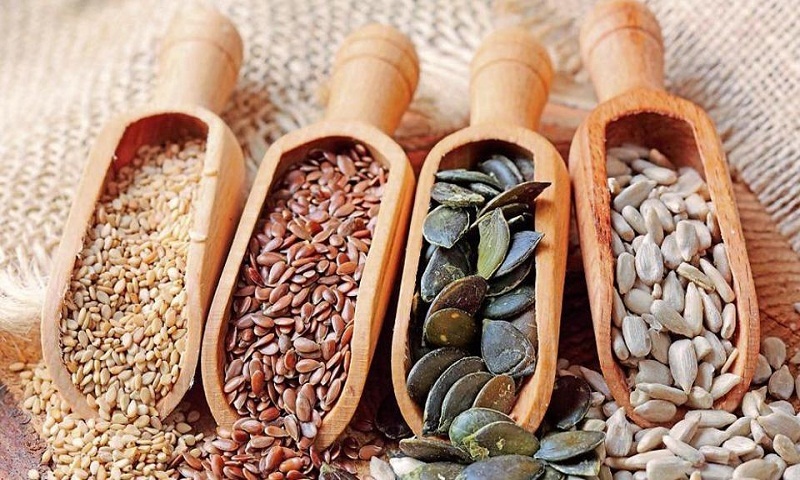 • Sunflower seeds: They are rich in vitamin B, zinc, iron and magnesium. They help in keeping constipation away and are good for skin and hair. • Hemp seeds: In two tbsps of hemp seeds, there is 9gm of proteins. They are high in zinc, calcium, potassium and iron. Good fat in them is great for a healthy heart. • Sesame seeds: These seeds have low sodium and are a perfect pick for those suffering from hypertension. They are rich in calcium, zinc, copper and selenium. • Pumpkin seeds: These seeds have the highest amount of protein and are great for prostate. So, if you are into muscle building, this is the right pick for you. Can seed butter make you fat? Seed butters are generally good for weight loss as many seeds help improve metabolism. However, be cautious of the quantity and don’t have more than one tablespoon. Seed butters can be used as sandwich spreads and topped with bananas, strawberries or avocados. They can be added to crackers or smoothies. You can use them as dips or add them to muesli or oats. In a blender, add 1 1/2 cups of ripe chunks of banana, 1/2 cup of frozen blueberries, 1 tbsp of sunflower seed butter, 3/4 cup of unsweetened plain almond milk or coconut milk and 1 tbsp flaxseed butter. Blend until creamy and smooth. To garnish, add chia seeds. You can store and drink it for up to two days. Sieve flour, baking soda, baking powder and salt in a plate. In a bowl, beat together butter and sunflower seed butter, and add sugar until fluffy. Add sugar in batches so that it mixes well. Add beaten eggs and vanilla extract. Now, add the flour mixture. Wrap the mixed dough in cling foil and refrigerate for 4 hours. Roll them into biscuits — whatever shape you wish. Preheat oven at 250 degrees. Bake for about 10 minutes at 300 degrees or until golden brown.